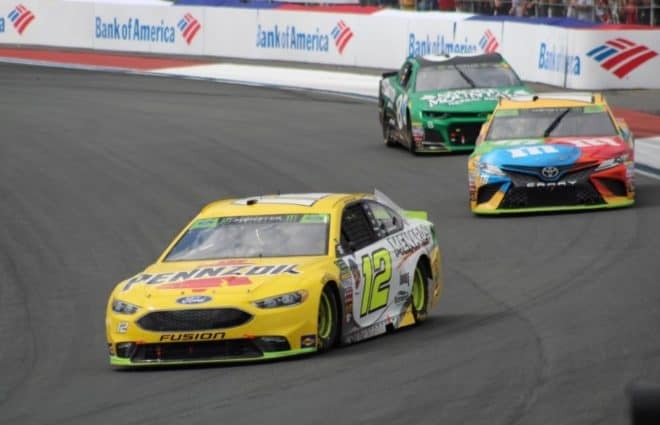 Ryan Blaney emerged from the inaugural Bank of America ROVAL 400 as the victor Sunday afternoon in a race that played out differently than many had feared. On the final lap, Jimmie Johnson spun in the Turns 16/17 chicane while trying to pass Martin Truex Jr. for the win. When Johnson spun, he clipped the rear of Truex, spinning out the No. 78. Blaney, who was running third at the track, snuck past the stricken duo and led all of a couple of hundred feet to score his first win this season and lock himself into the Round of 12. Behind Blaney was Jamie McMurray in a season-best second. Clint Bowyer made a stop for fresh tires with less than 20 laps to go and moved all the way up to a third-place finish. Alex Bowman, who Bowyer was racing for playoff positioning, finished fourth, while Kurt Busch was fifth. Chase Elliott finished sixth, followed by AJ Allmendinger. 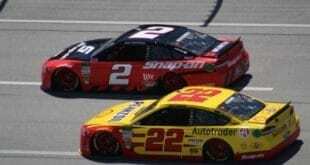 Johnson ended up eighth, followed by Kevin Harvick and Joey Logano. Truex dropped all the way back to a 14th-place finish. Kurt Busch led the pack to green with Kyle Larson second and giving chase. Larson had a pace advantage over Busch and managed to get past for the lead on lap 7. The crashes that everyone feared would plague the race really did not come into play much early in the race. Stanton Barrett crashed out of the race on lap 12 to bring out the first yellow, but the early portions of the race were clean. Pit strategy did come into play. At the end of stage one, Larson chose to stay out while most of the leaders pitted. That put him and a number of others on a two-stop strategy. Larson led until he stopped on Lap 36. It was in the final stage where playoff contenders began to be whittled down. First, it was Austin Dillon sliding into the wall trying to avoid Chris Buescher. A second, harder impact with the wall put him out. Erik Jones was hit on the restart from Dillon’s second crash and cut a left rear tire. The resulting spin and unscheduled stop put him down a lap. Jones eventually finished 30th and ended up 15th in points. Brad Keselowski had the lead late in the race after pitting with 43 laps to go during the caution for Dillon’s second crash. Most of the other leaders pitted four laps later during a yellow for an incident involving Aric Almirola and Buescher. There appeared to be no way that he could have made it to the finish, but a crash for Ricky Stenhouse Jr. with nine laps to go brought out a yellow and changed everything. Most of the drivers at the front were on very worn tires for the restart. That, plus a dirty track, led to a big pile up at heartburn turn. Keselowski locked up his brakes and slid directly into the barrier. Larson, who restarted second, also got wrapped up in the crash, along with Paul Menard, Kyle Busch and William Byron. Kyle Busch then spun across the track and collected Daniel Hemric, Aric Almirola, Darrell Wallace Jr. and David Ragan. The final lap was nothing short of a scramble, not only with the Truex-Johnson crash but with all the other races for playoff positioning. 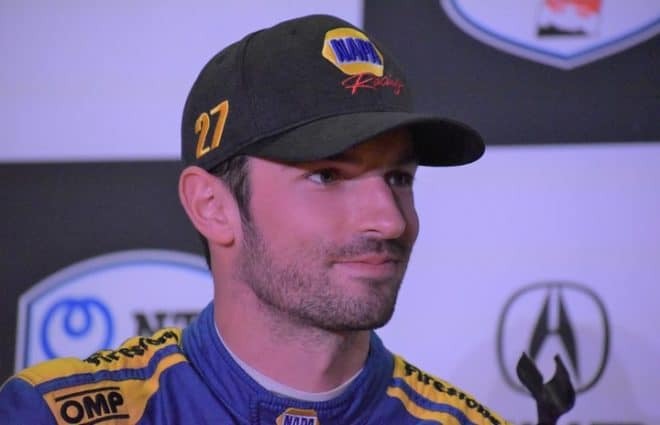 Johnson was in the Round of 12 until his contact with Truex. 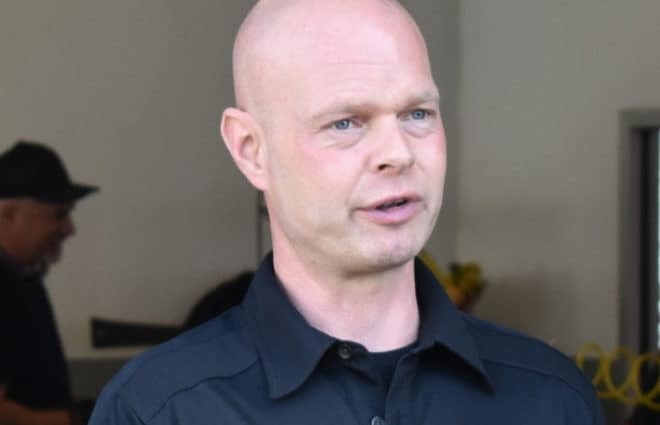 The incident ultimately knocked him out of the next round. Points-wise, the final 10 laps turned the standings upside-down. Larson just barely was able to get his No. 42 to the finish after the big wreck. 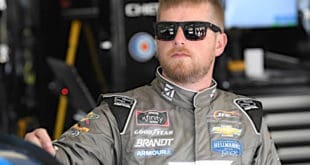 It took Jeffrey Earnhardt getting turned into the wall on the final lap for Larson to move into a three-way tie for 11th in points. Thanks to decent runs, he was the best of the three. As a result of his spin, Johnson was forced to come to a stop. He then resumed and finished eighth. That put him in the tie along with Larson and Almirola. 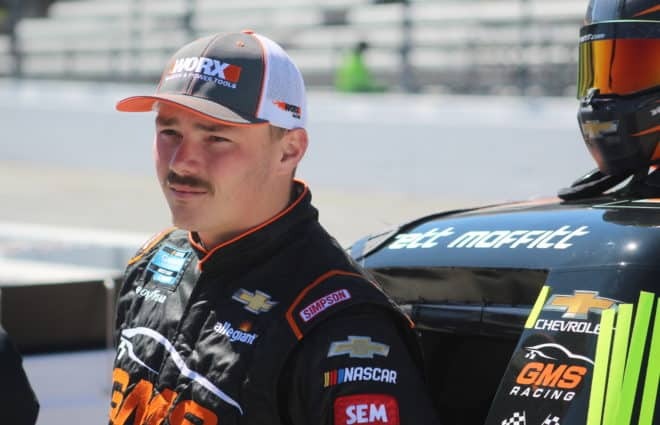 Unfortunately, the eighth-place finish was the low top finish in the round between the three drivers and as a result, Johnson was eliminated. 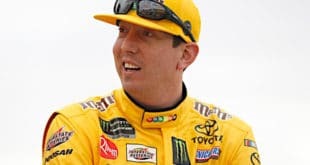 When the Round of 12 starts next weekend at Dover, Kyle Busch will start off with a five-point lead over Harvick, despite crashing out on Sunday. Truex will be 17 points back, while no one else will be within 30 points of the lead. 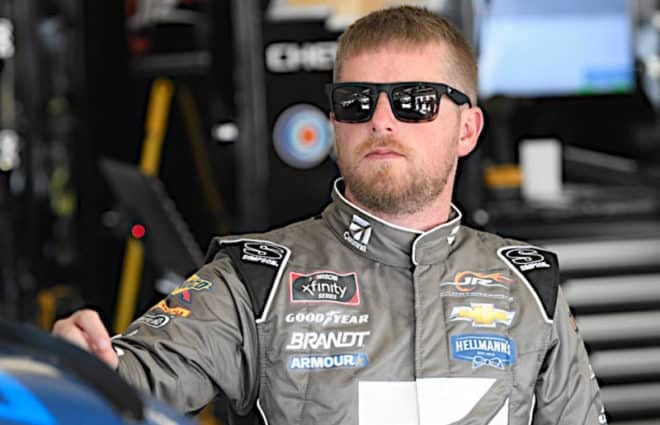 The Monster Energy NASCAR Cup Series returns to action next weekend at Dover International Speedway for the Gander Outdoors 400. Race coverage is scheduled to start at 2 p.m. ET on NBCSN. If I were JJ, I would use this giant blunder he made on the final turn as a reason to leave the Cup Series, even though he would of been eliminated in the next round. 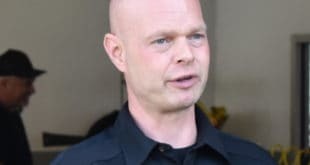 Did you see the ‘shell shock look’ on his face when he did the interview?